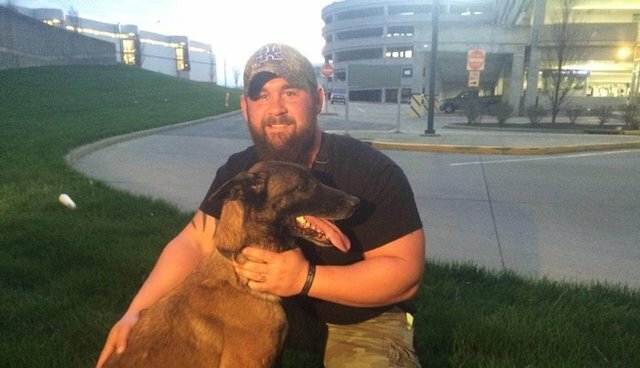 It was a reunion three years in the making - heroic bomb-sniffing dog Bbazy was reunited with her human, Marine Corporal veteran Seth Hill, this week. The two served together in 2011 and 2012 in Afghanistan, where Bbazy repeatedly saved the life of Hill and his fellow Marines by finding three improvised explosive devices. But when Hill and Bbazy headed home, they were stationed at different U.S. bases, Fox reports. 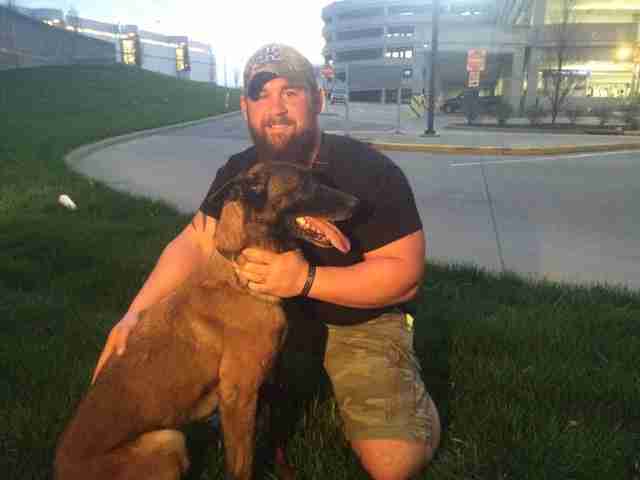 Hill was finally able to bring Bbazy home to him, thanks to help from Mission K9 Rescue, which works to reunite military service dogs with their handlers. "When you see them reunited with their dogs, you see a piece of them come back together," Kristen Maurer, president and co-founder of Mission K9 Rescue told The Dodo. "It's just the most beautiful thing." On Thursday, Hill waited expectantly at the airport for 10-year-old Bbazy to arrive so he could bring her home forever. As soon as they saw each other, it was clear that Bbazy and Hill were thrilled to be reunited. "How are you. How are you, you're so skinny. You're so skinny," Hill whispered to her. "How are you baby?" Hill and Bbazy are home in Kentucky now, and Bbazy will spend her retirement cuddling and playing with her lucky human. Hill has already called Mission K9 Rescue to let them know that Bbazy is settling in perfectly, "They're doing great," Maurer told The Dodo, "She's so happy, she loves the grass."